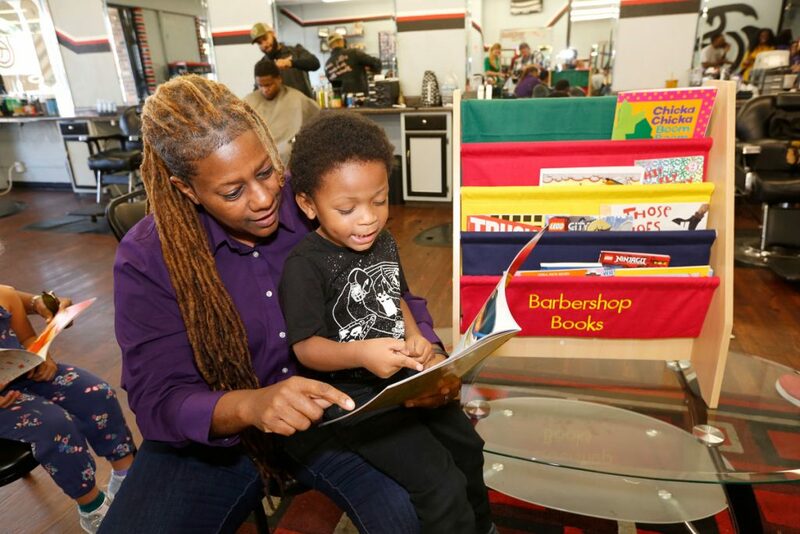 LA County Library has implemented child-friendly reading spaces inside 10 barbershops in South Los Angeles, to help black boys ages 4 – 8 identify as readers by connecting books and reading to a male-centered space—the barbershop—and by involving men in boys’ early reading experiences. Small bookshelves filled with a selection of award-winning books, curated by recommendations from young people, have been provided to all 10 barbershops, so that children can enjoy them while they or their parents are waiting to have their hair cut. In California, 3 out of 4 black boys are not reading at grade level, based on data from the Department of Education, confirming the need to expand library and literacy programs beyond traditional spaces. 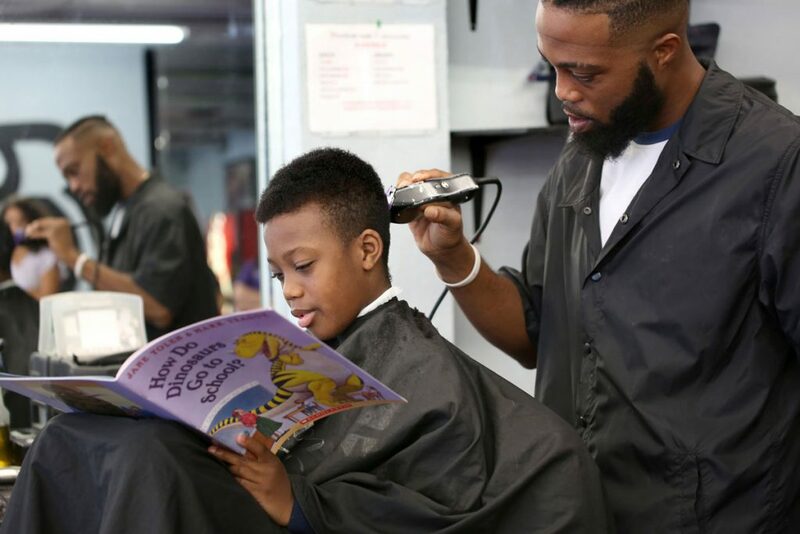 In consideration of this need, we partnered with Barbershop Books, a nonprofit literacy organization that leverages the cultural significance of barbershops in black communities to increase boys’ access to culturally-relevant and age-appropriate children’s books to increase out-of-school time spent reading. The Barbershop Books program recently kicked off with an opening event at St. Julian Barbershop in Compton. LA County Library Director Skye Patrick was present to celebrate the launch of this community-based literacy program that strives to create positive associations with reading in non-academic settings, and expands the Library’s focus on increasing access for all customers. “We understand that not all County residents will frequent one of our LA County Library locations, so we’ve made a point to go directly to them. We are committed to minimizing the literacy gap between young men of color and their peers, and this partnership with Barbershop Books will help us do that,” said Patrick.